New England, ca. 1850-1880. Pine, with picture-frame molding joined by cut nails. 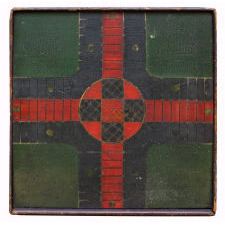 The artist chose a very effective and desirable color combination of strongly contrasting colors of bittersweet and green, with a black ground, lining, and molding, and mustard cross-hatching in the center circle. 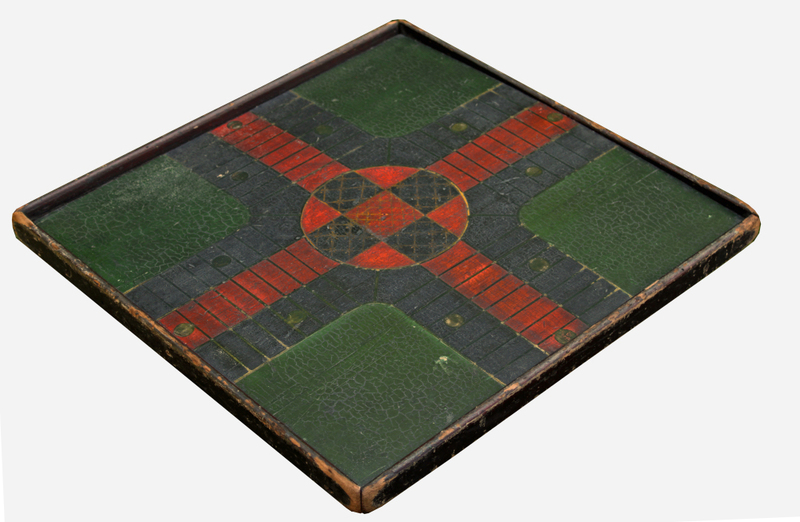 An earlier game board (not one of the later examples that were more craft than folk art). Terrific natural patina to the back. 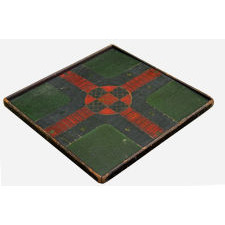 Very good condition with expected imperfections from frequent play and a bow to the board within the frame. Applied moldings loose yet intact. Doesn’t appear to have ever been hung, yet easily mounted for hanging. 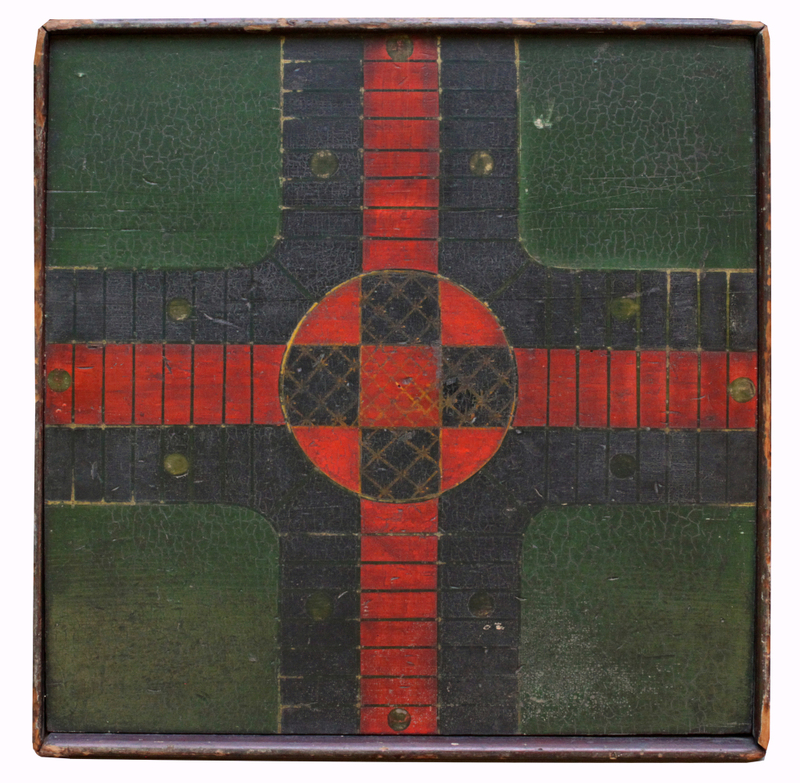 Overall size of about 18 ½ inches square.